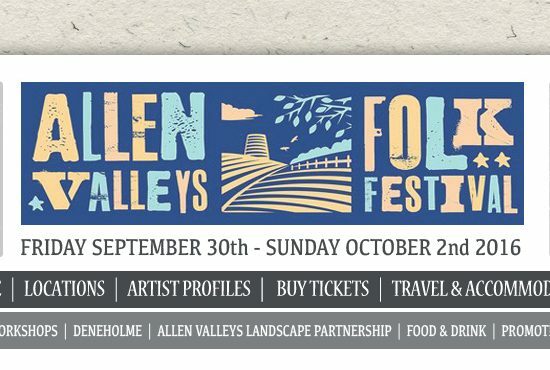 Sharper Than artists feature in this year’s Allen Valleys Folk Festival taking place in Allendale, Northumberland from Friday 30 September to Sunday 2 October. There’s a great line-up overall – from local young bands such as Reely Ceol to Kathryn Tickell’s Superfolkus, Scottish bands Awry and Wayward Jane, to the Turbans’ Eastern European dance grooves. Alistair appears on Saturday 1 October and Tim and Rhona on Sunday 2 October.